Following our 8 golden rules dietary advice means incorporating high fat into the diet as fat helps slow down the release of glucose from carbs into the bloodstream and helps you to feel fuller for longer. For many this rings alarm bells! Fat = getting fat! 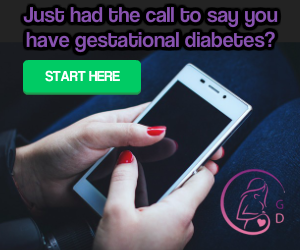 You have just been diagnosed with a condition which means your baby could be, or may grow to be much bigger than it should and now you're reading that we advocate incorporating fat into the diet? What planet are we on?! There are different types of fats. Unsaturated fats such as monounsaturated fats and polyunsaturated fats which include omega-3 and omega-6 fatty acids and are known as being the 'good fats'. These include things like olives, olive oil, oily fish, avocado and nuts. These fats improve blood cholesterol levels and can decrease your risk of heart disease. They also play an important role in the development of the brain, eyes and nervous system of your growing baby and so are essential for baby's growth. There are then the saturated fats which are the ones which are now being disputed. For years, saturated fats have been thought to be the bad fats, however this is based on information from the 70's and 80's and is now being challenged as research suggests saturated fats are not the evil fat they've been labelled. Saturated fats can be found in many foods like butter, cheese, cream, milk, fatty cuts of meat, the skin on chicken, lard, suet, and coconut oil. Lastly, there are the trans fats, these are undoubtedly bad fats which should be avoided or eaten in very small amounts. You can read more about trans fats towards the end of this article. Many ladies first concern after years of following low fat dietary advice is that a higher fat diet is going to cause weight gain. This is something that is still drummed into advice from all over and more so than ever when pregnant, as high weight gain during pregnancy should be avoided. 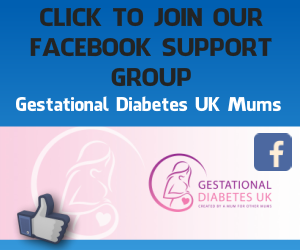 We also need to avoid weight gain with it increasing the risk of type 2 diabetes, in the knowledge that women diagnosed with gestational diabetes are already at a higher risk. In a survey we conducted in 2018 with 1,185 responses, 62% of women LOST weight and 23% stayed the same weight (thus meaning they lost weight as they were the same weight as the beginning of their pregnancy, yet had the weight of baby, placenta and fluid etc.) This means that we have seen a huge 85% of women LOSE weight eating a higher fat diet! Not only did a majority lose weight, but their blood sugar levels were lowered and stabilised, they felt healthier and better than before too! Across 7 studies, involving 89 801 participants (94% male), there were 2024 deaths from CHD during the mean follow-up of 11.9±5.6 years. The death rate from CHD was 2.25%. Eight data sets were suitable for inclusion in meta-analysis; all excluded participants with previous heart disease. Risk ratios (RRs) from meta-analysis were not statistically significant for CHD deaths and total or saturated fat consumption. The RR from meta-analysis for total fat intake and CHD deaths was 1.04 (95% CI 0.98 to 1.10). The RR from meta-analysis for saturated fat intake and CHD deaths was 1.08 (95% CI 0.94 to 1.25). Epidemiological evidence to date found no significant difference in CHD mortality and total fat or saturated fat intake and thus does not support the present dietary fat guidelines. The evidence per se lacks generalisability for population-wide guidelines. During follow-up, we documented 5796 deaths and 4784 major cardiovascular disease events. Higher carbohydrate intake was associated with an increased risk of total mortality (highest [quintile 5] vs lowest quintile [quintile 1] category, HR 1·28 [95% CI 1·12–1·46], p trend=0·0001) but not with the risk of cardiovascular disease or cardiovascular disease mortality. Intake of total fat and each type of fat was associated with lower risk of total mortality (quintile 5 vsquintile 1, total fat: HR 0·77 [95% CI 0·67–0·87], p trend<0·0001; saturated fat, HR 0·86 [0·76–0·99], p trend=0·0088; monounsaturated fat: HR 0·81 [0·71–0·92], p trend<0·0001; and polyunsaturated fat: HR 0·80 [0·71–0·89], p trend<0·0001). Higher saturated fat intake was associated with lower risk of stroke (quintile 5 vs quintile 1, HR 0·79 [95% CI 0·64–0·98], p trend=0·0498). Total fat and saturated and unsaturated fats were not significantly associated with risk of myocardial infarction or cardiovascular disease mortality. Diet Doctor - This website can provide TONS of information around the benefits around following a low carb, high fat diet. This article discusses cholesterol and high fat diet. Real food, natural sources of fat should not be feared and can help with controlling blood sugar levels, obesity and will not make your arteries clogged causing heart disease. Always pick REAL FOOD over processed - Know what you are putting in your body!